The tops of the sand dunes are concave, like volcanoes, which means you can't see what is immediately beneath. I'd be looking ahead at the huge line of dim light ahead and when I'd start climbing a dune this line would disappear. I could still see the one behind me but then when I was on top of the dune the whole lot would disappear. One time I was on top of a sand dune I felt like I was the only person in the world, I could not see any humans or any sign of civilisation for 360 degrees. 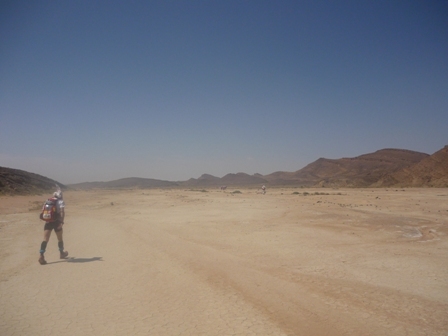 I've done plenty of races where I feel like the only one around even when there are people right next to me, it is a strange but liberating feeling. This time I felt alone because I was alone. It was an amazing 5 seconds or so before the isolation was broken by someone else clambering up the dune. From then on I tried to recreate that moment by adjusting my speed so that I was ascending them alone. It never happened again, it was always spoiled by the polluting light of others trying to make their way towards the next checkpoint. I wished they would all disappear. I could not think of anything apart from whatever was rattling through my brain, I could not get it out. I had not slept well all week and felt sleep deprived but not sleepy. I knew that one of the key functions of sleep is to clear your brain cells of all the crap they build up over the course of the day. The cells build connections which normally get reset when you sleep and those that don't become memories. Right now I was building up bad memories that were clogging up my head and stopping me from fuctioning properly. I knew vaguely what was tormenting me here but had no idea until I looked it up on my return that this branch of neurobiology had such a cool name. Synaptic Homeostasis is a theory that the brain only has a certain capacity to "learn" in a particular time period before it becomes full and needs refreshing. Sleep does this. It was hardly as if I was attending any lectures in this time but I felt like I'd reached the limit to what I could mentally deal with for that day. Any further progress I would have to do as a zombie, oblivious to any external influence, possibly not reacting to and external stimulus or even my own internal state. It still seems ludacrous to this day but with only "3 parks to go" to the end of the long day I got my sleeping bag out of my bag and crawled inside. I needed to sleep, just to forget. About this. It looks nice. MDS - Victim of it's own sucess? 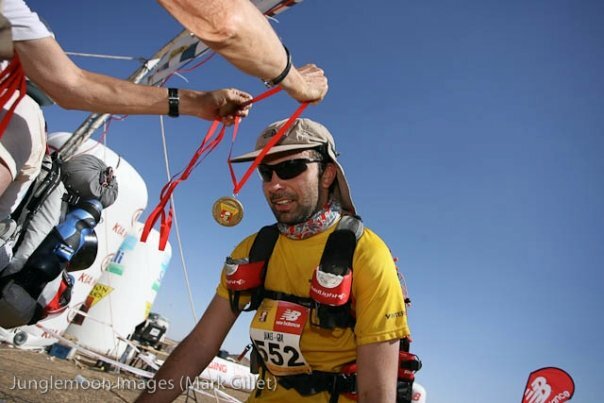 I've just been informed by the organisers of the Marathon De Sables that the prices are going up about £300 per year for the next few years. I am paying an extortionate £2800 for 2009 (2006 was £2100) and this is to increase to £3500 for 2011. "Fuel costs" are to blame apparently for this price hike. I'm sure they've just taken advantage of the fact that so many British people want to do this now. 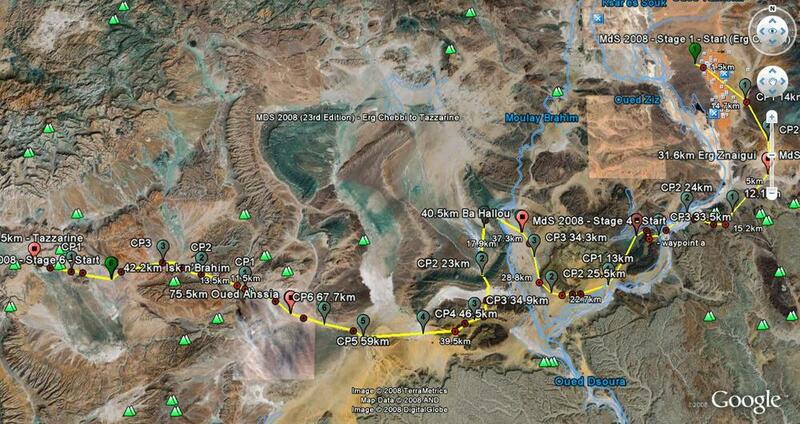 This week the 2011 race sold out within a day, a whole 3 years before the event is due to start. Tha's a lot of people who have paid a non-returnable £500 deposit and may not end up doing it because they get injured/ill/made unemployed/die. This is not a complaint. Fait enough if they want to charge more for their brand. I believe this will lead to the demise in what the race stands for. The strange thing is that the harder and more expensive you make a race to get in the lower the standard of competitors who enter. Now that it costs so much entrants are forced to badger their friends and family to fund their event. Those wanting to run for their own reasons are priced out or look elsewhere. The "Flora" London Marathon is a great example. This race has become so sucessful that the organisers can now charge £300 to charities for places. These are lapped up as they represent guaranteed return for the charities. Again, NOT complaining. However I do not consider the London Marathon a runners race. 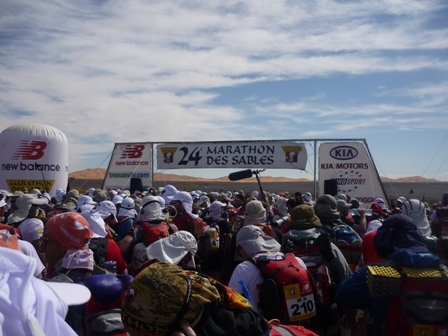 How long before the Marathon De Sables is not a proper ultra runners event? Has it already happened? 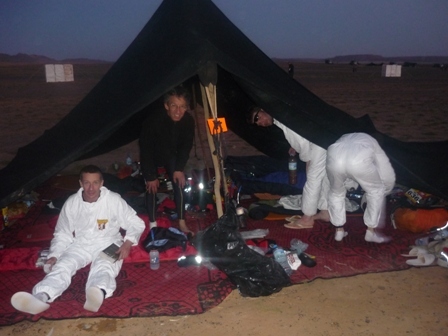 Registration opens (and closes apparently) on March 5th for the Marathon De Sables in 2009. I suspect the reason it is so popular nowadays is that some idiot son of some "rock legend" tried to run it a couple of years back and made a tv program about it. I read that he dropped out on the second day crying like a baby. SO, do I part with a £500 non-returnable deposit to do a race in 2 years time? Whenever I have these moments on indecision I ask the 8 ball. I shook it and ask "Should I apply for the MDS next week"
The word that appeared in the dark and mysterious centre of the ball was "Absolutely"
You may think its silly, but I later asked the ball "Will we win the pub quiz tonight", it answered "Are you kidding?" It was right. We were rubbish.